The general criteria for P&G product donation requests are based on our general and disaster product donation policy. We use the following criteria to evaluate your requests. 1. Partner or charity is aligned with P&G's social responsibility strategy to "provide everyday basics to create the experience of home and improve everyday health and confidence for people in need". 2. All product donation requests should be sent at least one month before the event date and picked up the requester in the P&G releasing location. In the event of disaster relief related programs, requests can be sent at least two weeks before the event date. 3. All product donations must be donated to P&G approved non-profit affiliated agencies, partners or charities whose programs represent a long term commitment to improve the lives of others. 4. Capable partner organizations that have the facilities, scale, and training required to distribute significant quantities of donated product to non-profit affiliated agencies or recipients. 5. Products approved for donation will be used solely for the indicated purpose and prohibited to be resold. The partner or charity must be capable of producing and submitting proof of use documentation within 1 week after execution. 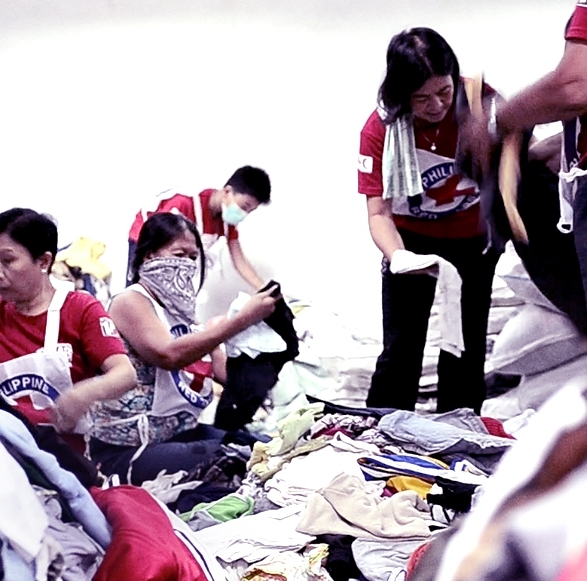 Learn more about these programs in our P&G PHILIPPINES IN THE COMMUNITY page. Please enter a brief description of what your project is about. When will your project or event take place? Requests must be sent at least 1 month before your event date, 2 weeks if disaster relief related. Thank you for submitting your donation request. We will get back to you within two weeks.